"There has never been a better tool for shopping"
& follow the instructions on the next page after the installation. Know why they say that ? 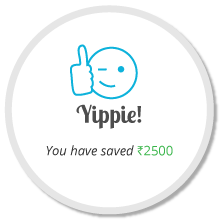 Over users have saved over till date with this amazing extension. 4 Features that can help save you maximum! Never was applying coupons & sharing so magical! 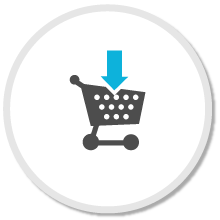 Apply coupons at the checkout of 20 different portals automatically. 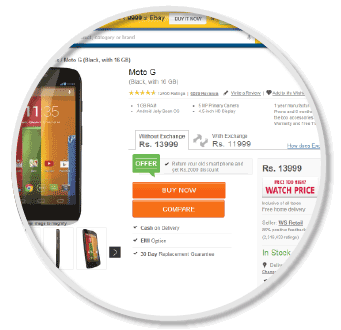 Go to the productpage of any product you wish to buy. 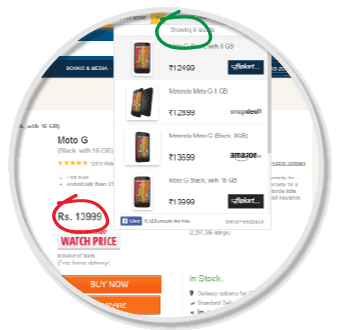 Hover over compare prices button on the yellow bar at top. Finding the best price was never easier! 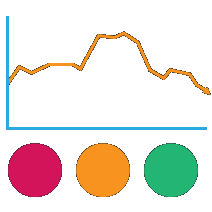 Prediction scores tell you weather it is a good time to shop or wait. 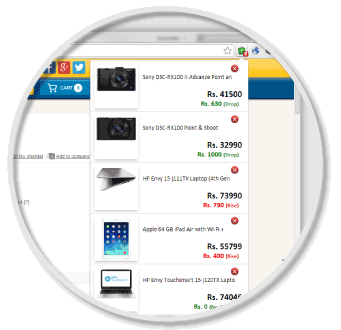 See price variations for all products on various sites & get prediction on best time to buy. Alarms are an indispensible part of our life. 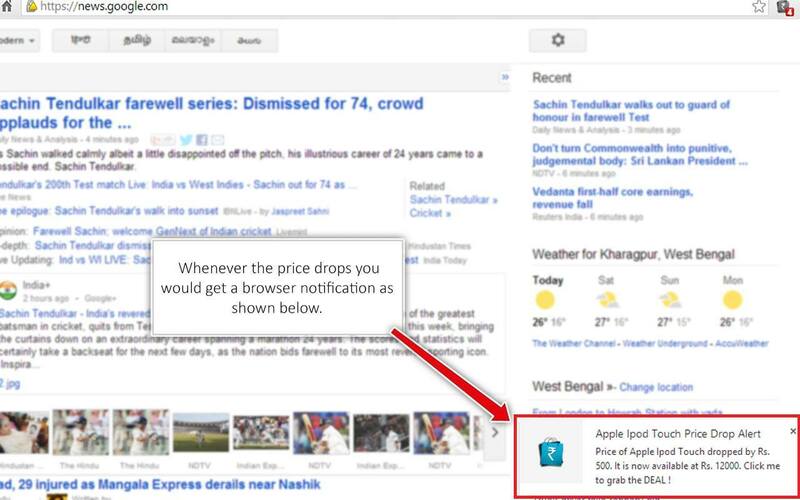 Get your own alarm to know when the price falls with this magnificent price alert feature. Simple and quite intuitive. Activates in your browser when you look at a certain product in any random site and when the product is available at multiple sites for comparison. Keep it up! Hoping to see the product list expanded to many more items. This extension is Amazing.I had also installed it blindly but its already helping professionally and personally. Great work Team Comparehatke. Perfect, monitors the price movement, recommends, xlnt. A must need for one who is price conscious and want to choose the least priced one online. Go to any product page, you are looking for. Your favourite book, movie, device, anything. 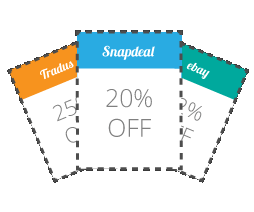 Update : 26th February, 2014 - You will get a APPLY COUPON button at checkout on all major e-commerce websites. 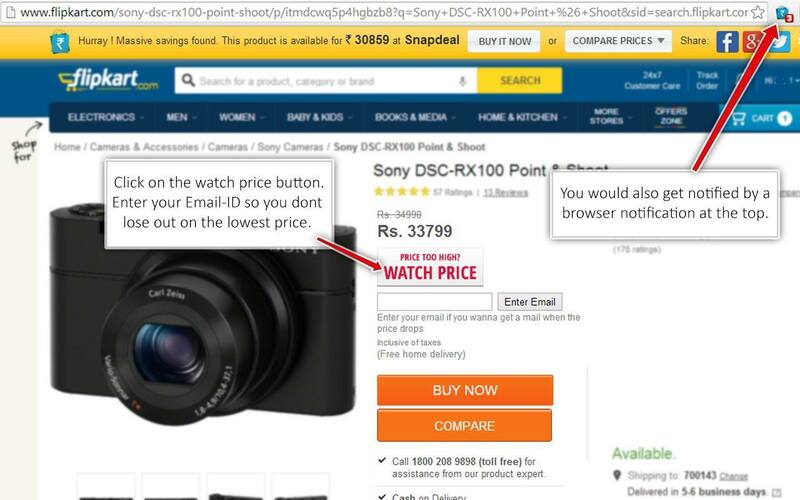 This will automatically apply the best coupon for you within a flash ! This facility is currently available for Ebay, Jabong, Myntra, SnapDeal, Shopclues, Infibeam, Indiatimes Shopping, Yebhi, Tradus, HomeShop18, MakemyTrip, Yatra, ClearTrip, Redbus, Goibibo, Dominos and Foodpanda ! So, all you have to do is to click the Add Now button above ! 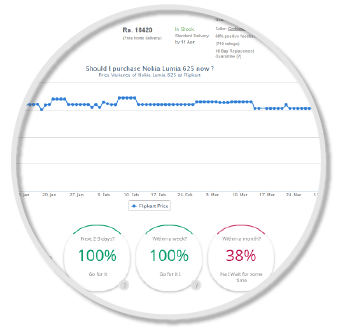 You will get a price chart on all the Flipkart, Amazon, Snapdeal, Myntra and Jabong Product pages. 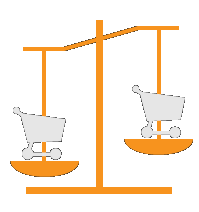 This will help you decide when to purchase a product. 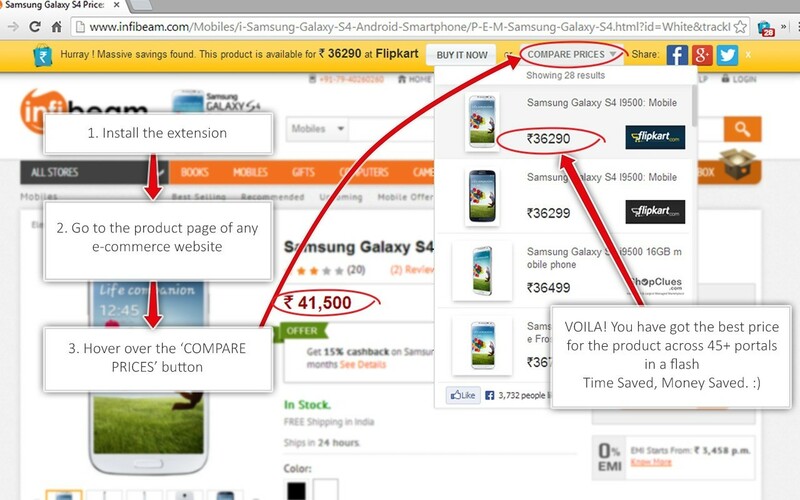 You will get a Compare Button on all e-commerce portals. 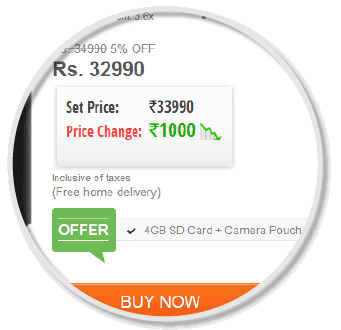 This will help you explore the prices of any product at Buyhatke. Wait for sometime on the product page till our extension finds out the best price for the product in India from over 50 online portals. 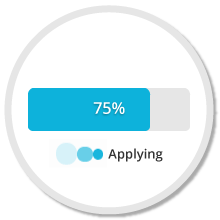 Once, the results are ready, you get a Buy Now button at the top. That will take you to the lowest deal of the product. You also get a compare prices options when you can go through all the options available to you. What more ? Suppose you reach a portal, which we have not added. 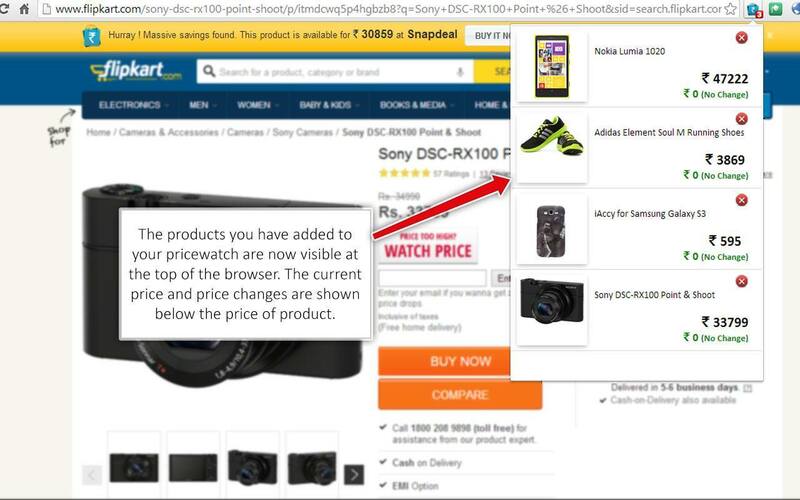 Just select the product you wanna compare , right click and go for "Search via Compare Hatke"
We have updated our extension with a superamazing price alert feature too. 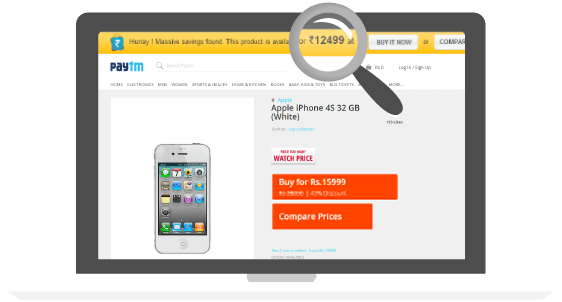 Just go to the product page of any of Flipkart, Snapdeal, Amazon, Shopclues, Myntra, Jabong, Tradus, Yebhi, HomeShop18, Cromaretail, Infibeam. 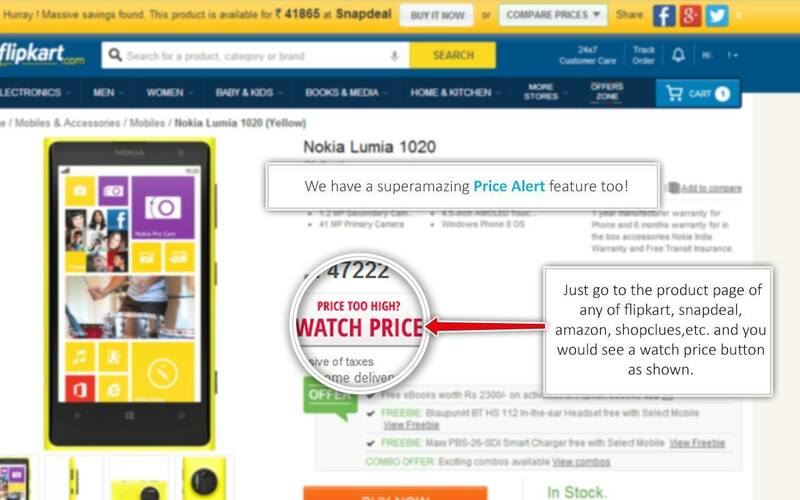 You would see a watch price button as shown below. 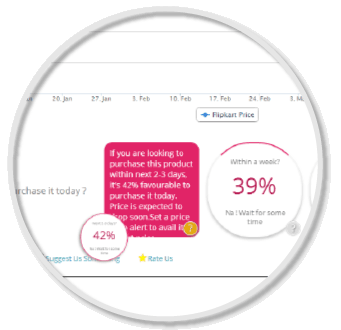 New websites will be added daily where you could set price alert. 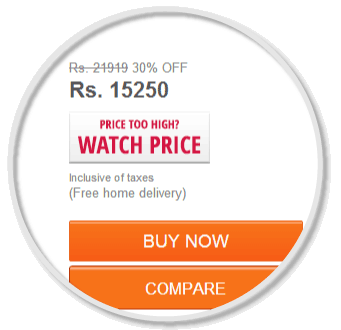 Click on the watch price button. Enter your email id so you don't lose out on the lowest price. If you decide not to give email id , you will be notified on desktop when you come online(chances of missing the best price). 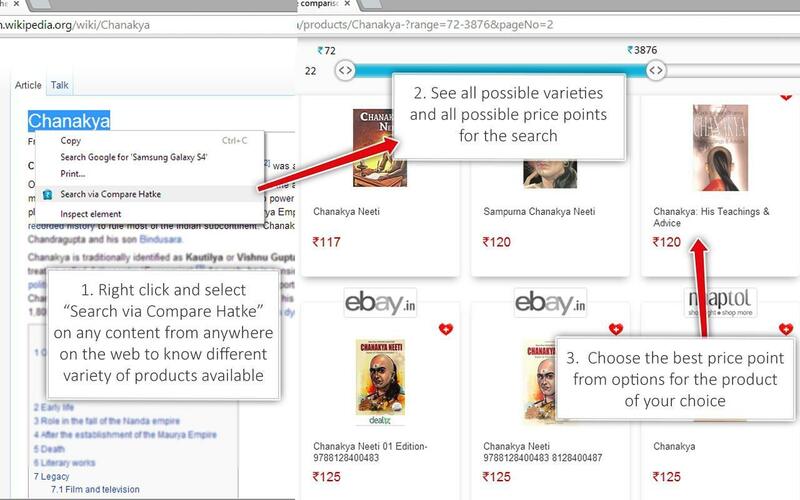 Click on the Buyhatke extension icon if you wanna know the current status of the products you have added to your watchlist. 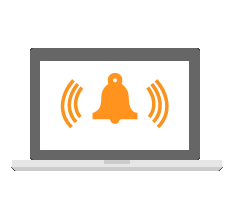 We will notify you via a desktop notification which is a clickable link so that you can immediately buy the product if you wish. Wondering what is it the best time to purchase? 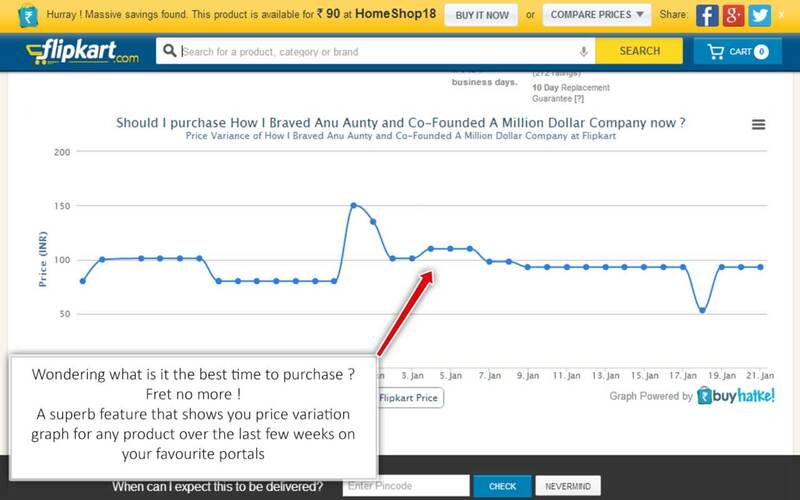 Fret no more - A superb feature that shows you price variation graph for any product over the last few weeks on your favourite portals.